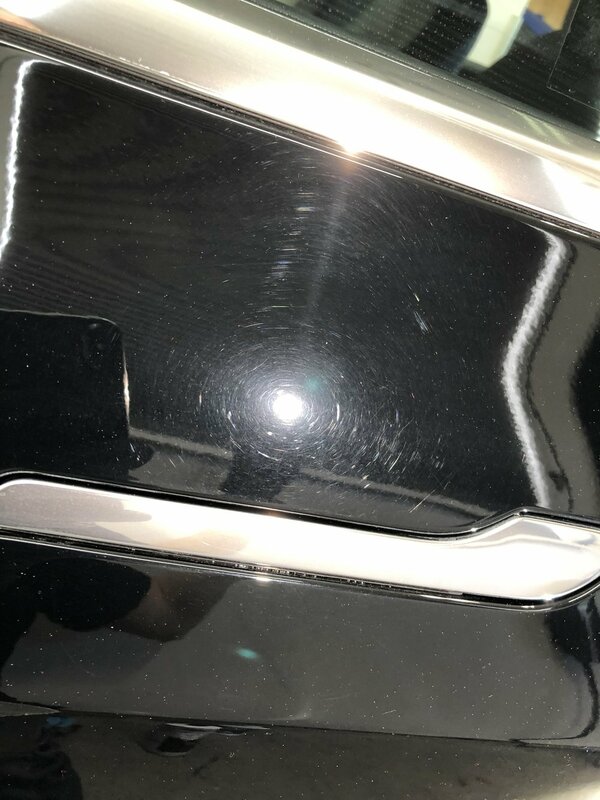 I love black cars, but man do I hate black cars. 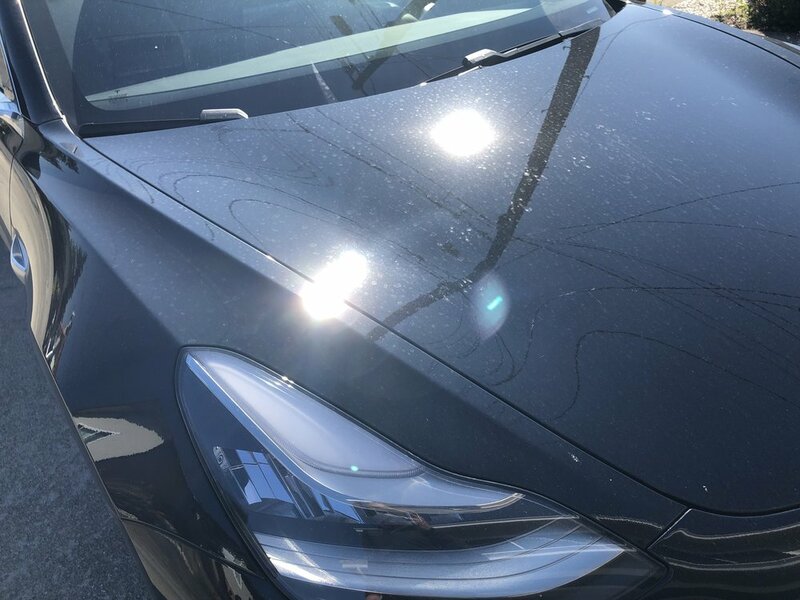 They look absolutely amazing when they’re immaculate, but as soon as you move the car outside you can already see the dust start to accumulate on the surface. 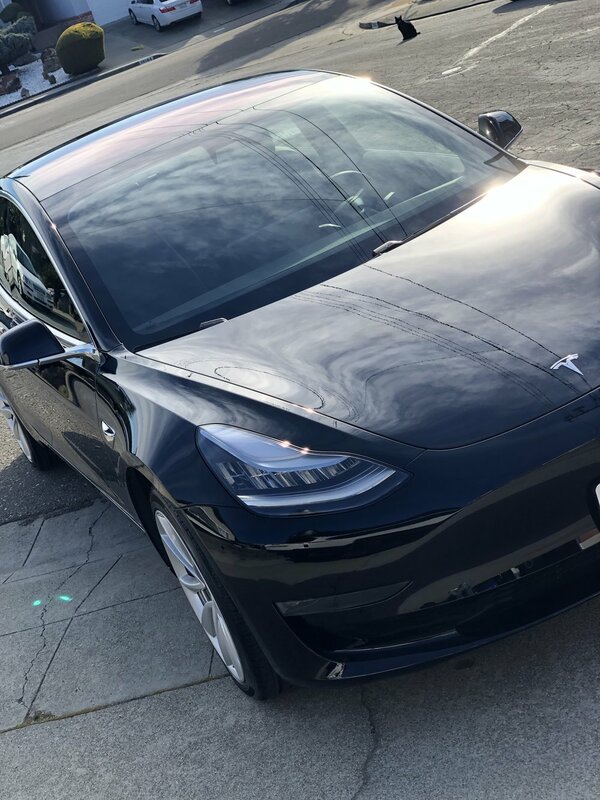 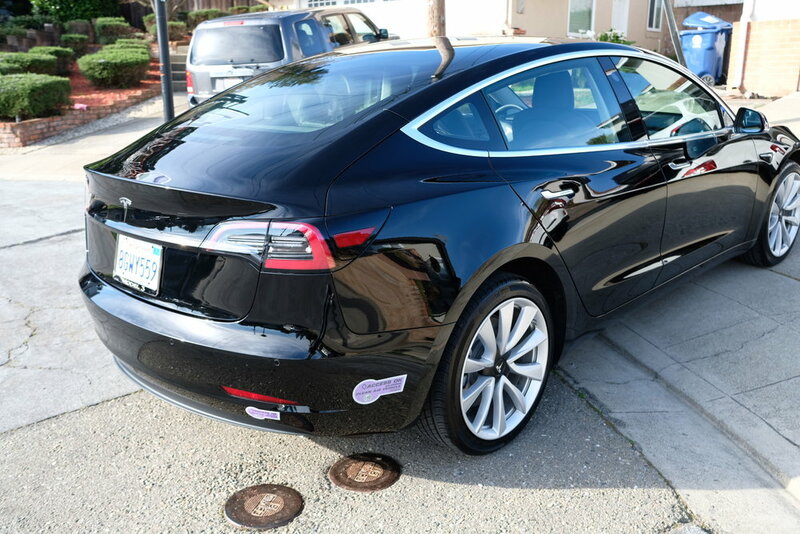 In today is Sai’s ~4K mile old Model 3. 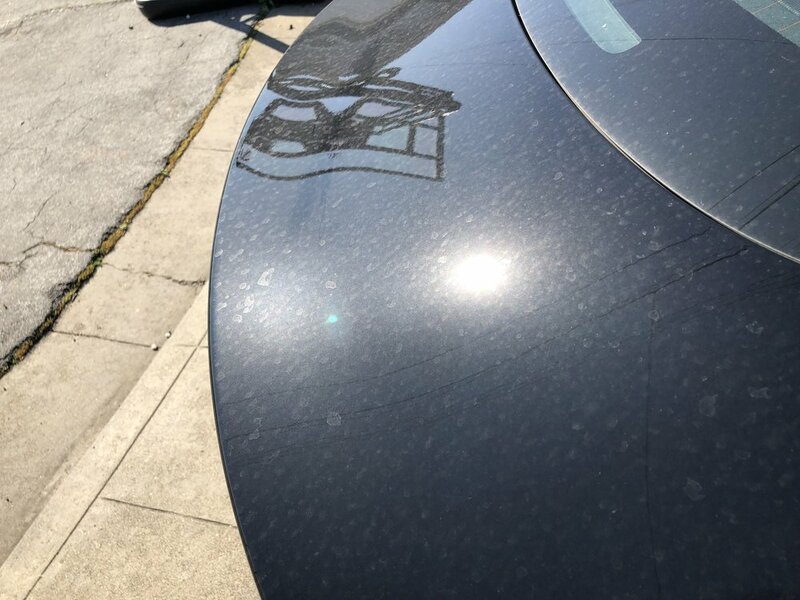 It came in quite dirty, and under the dirt it looked like it was in pretty good condition. 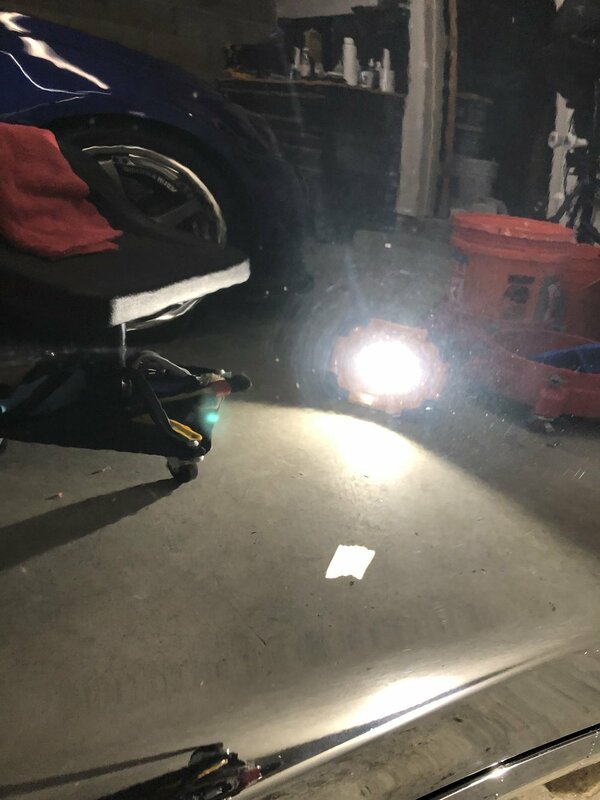 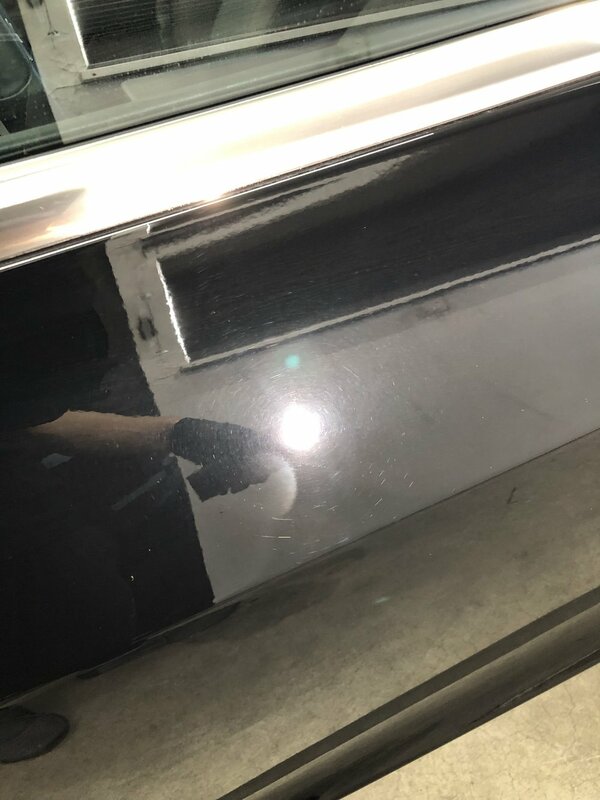 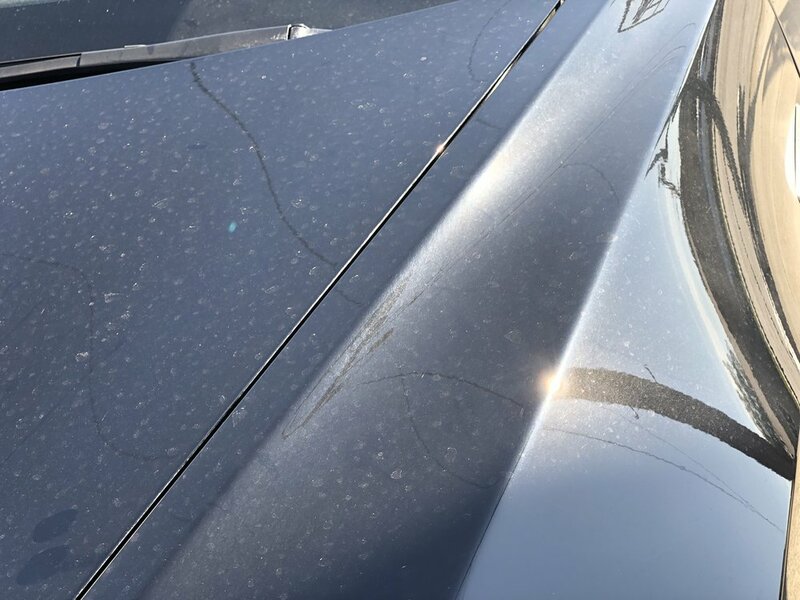 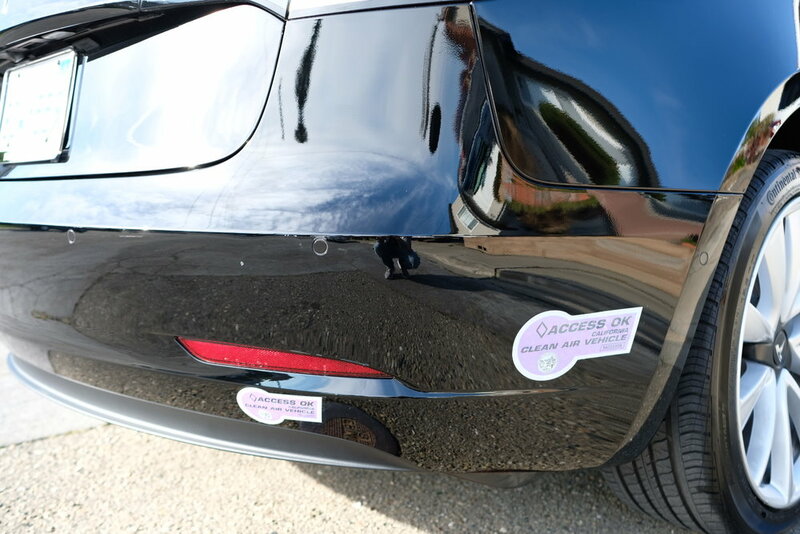 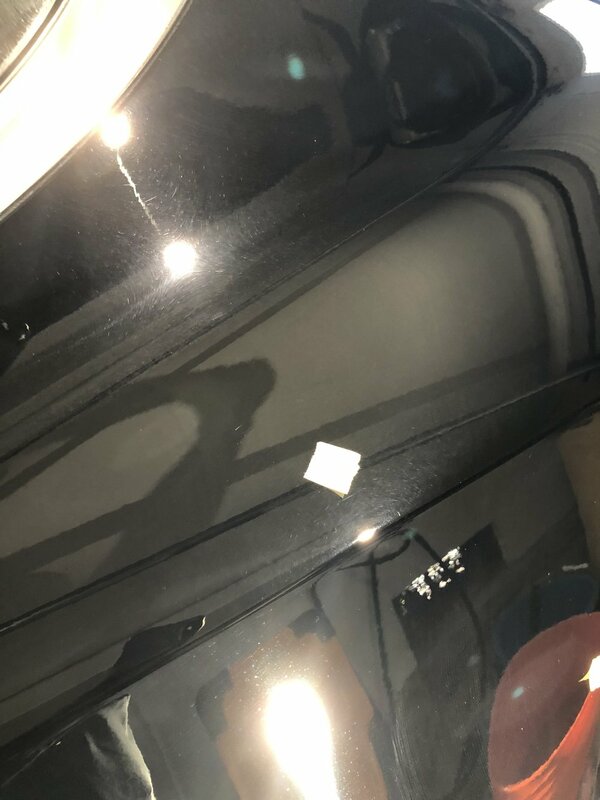 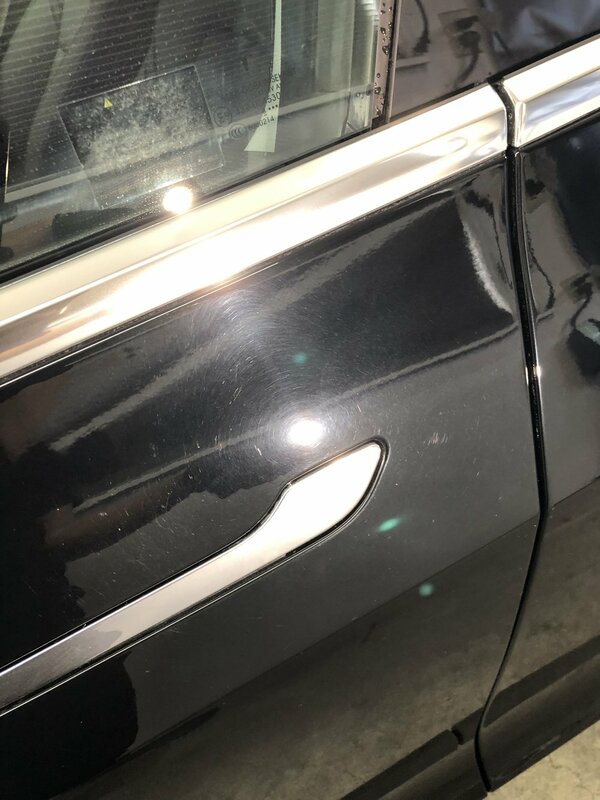 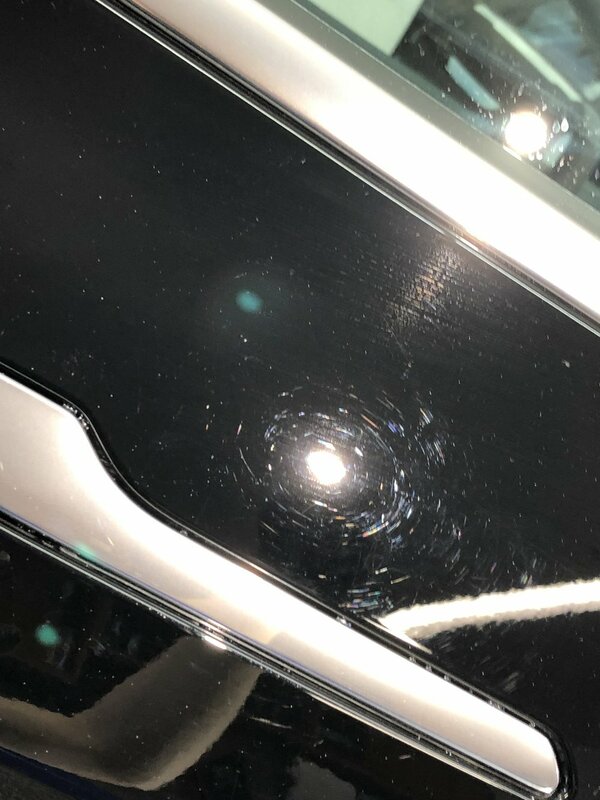 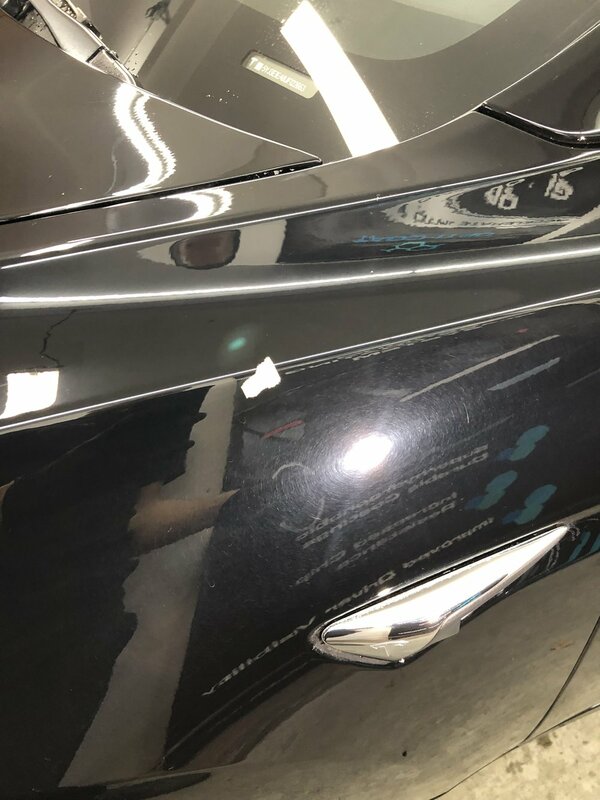 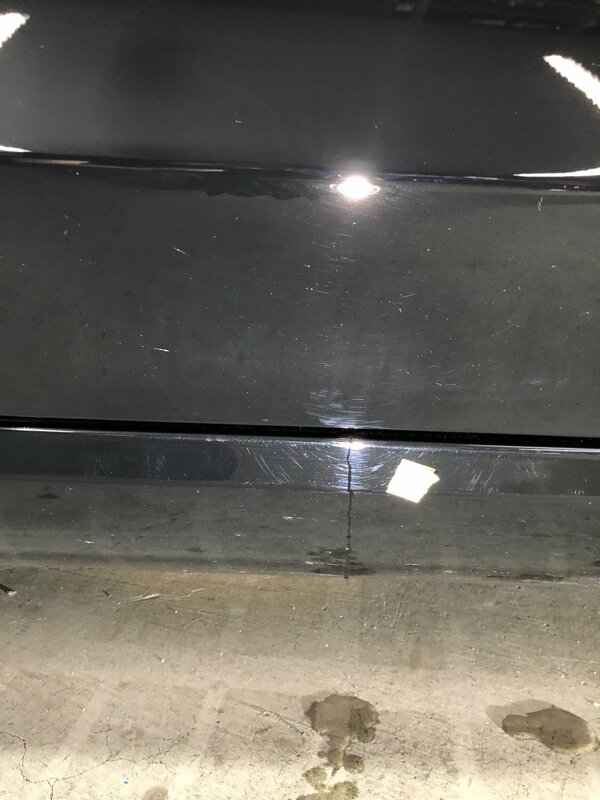 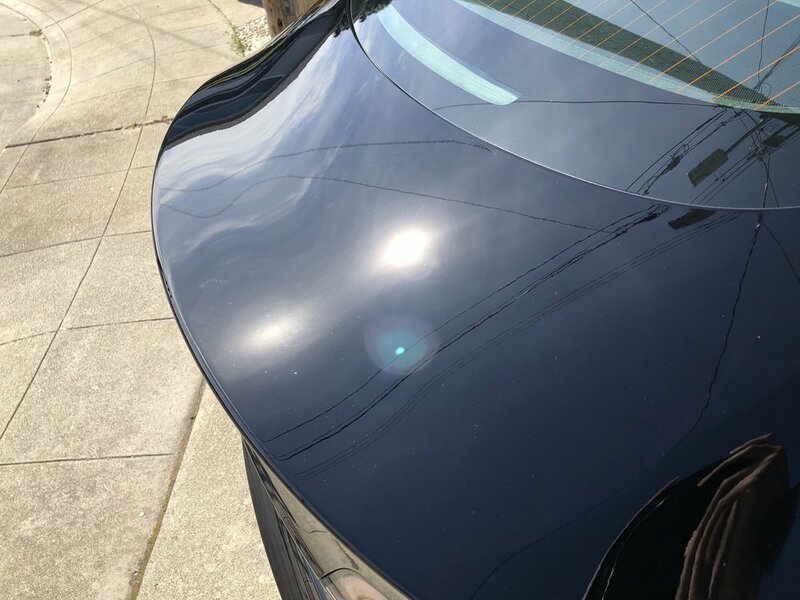 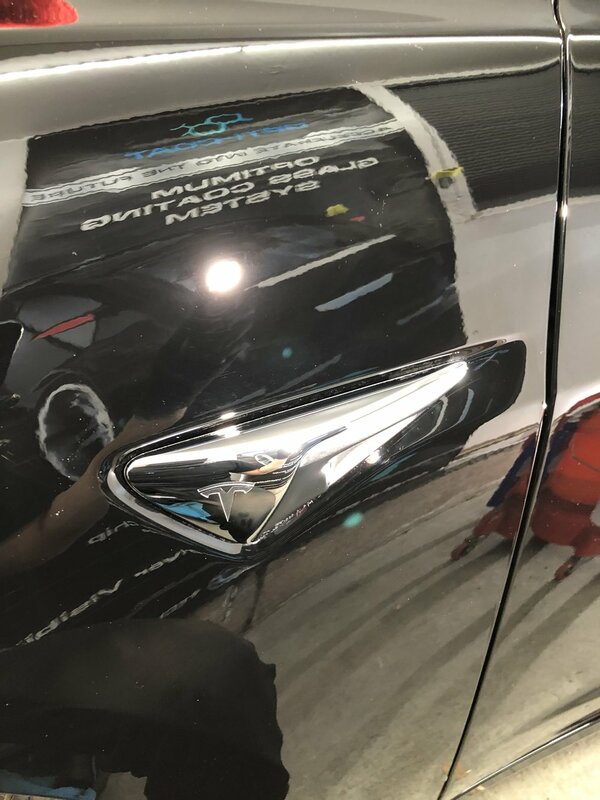 After just washing the car, we were able to see all of the factory sanding scratches and rotary marks that were never finished down. 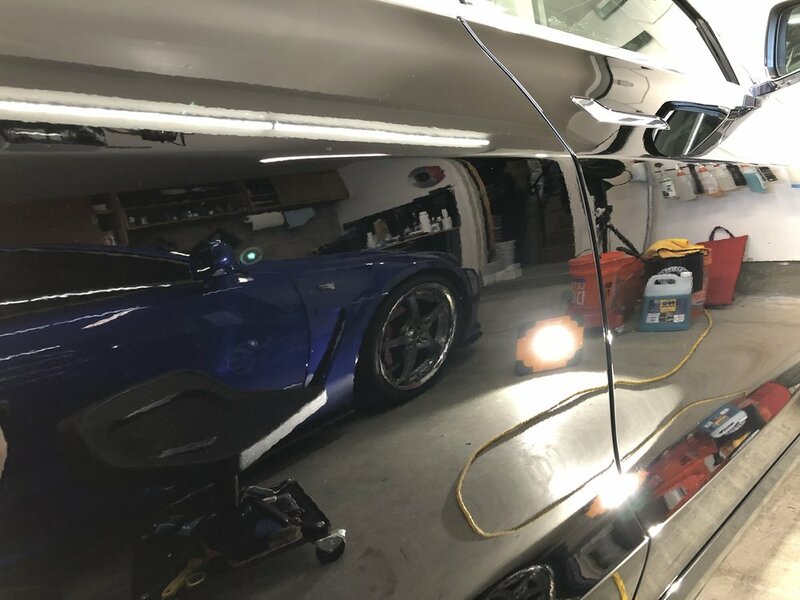 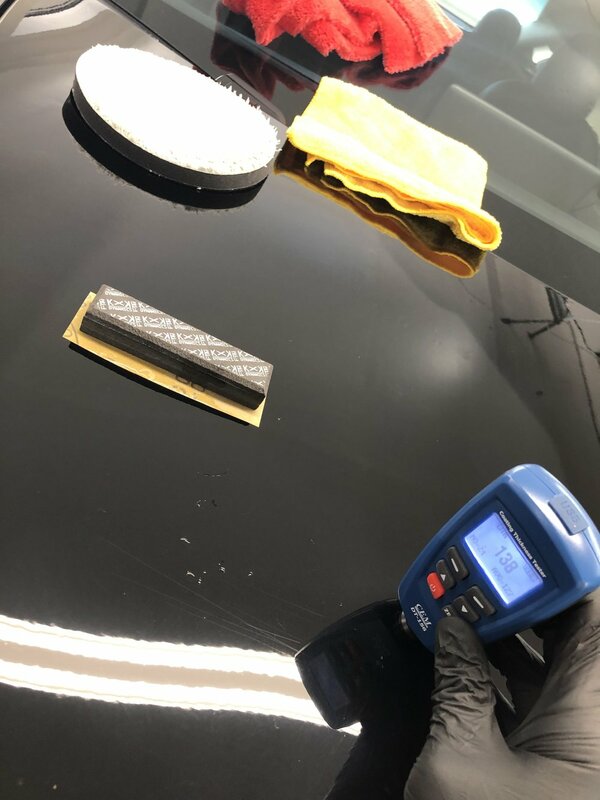 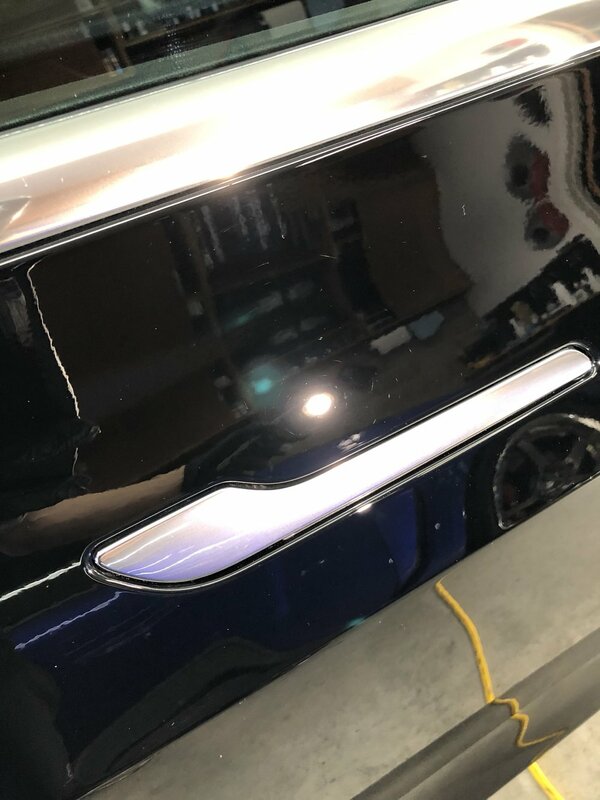 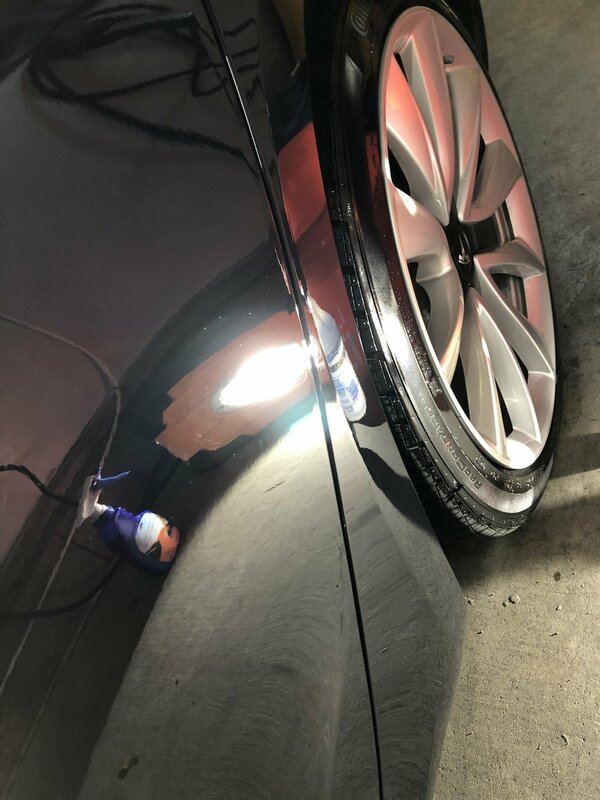 We ended up doing a two step polish on this one; as we do to most solid black’s; to get it looking realllllly good, and then topped it off with Opticoat Pro. 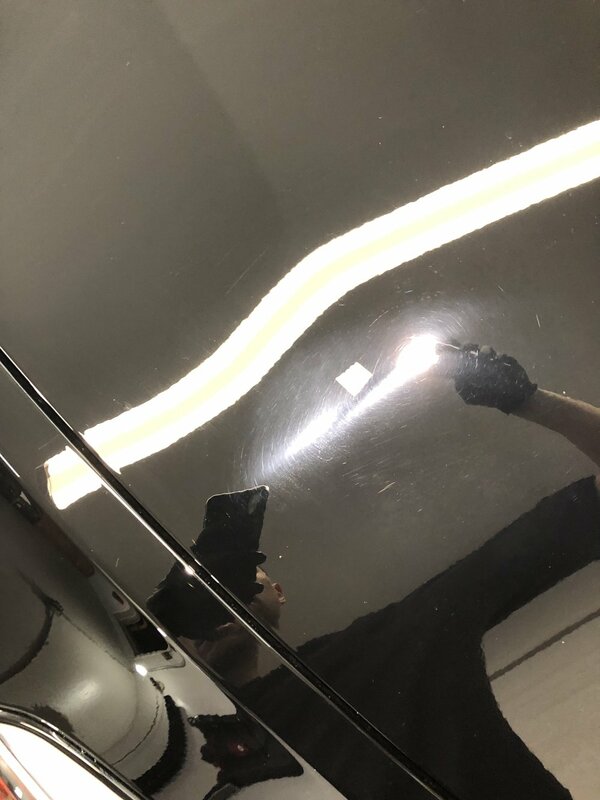 It was left to cure for about 6hrs before topping off with Optiseal.